She has been involved in Pathfinders for many years. 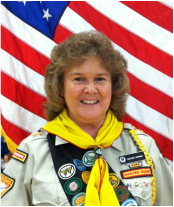 Darlene has been a club director and is an experienced Area Coordinator and Master Guide. She has taught Basic Staff Training courses.